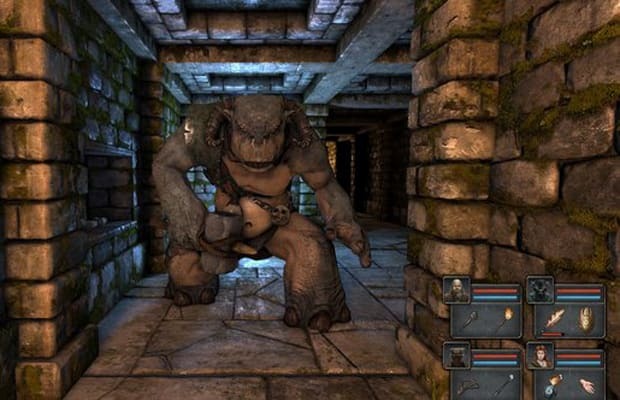 Legend of Grimrock is inspired by classic dungeon crawlers, but it&apos;ll come with modern amenities when it launches on April 11. For example, you can get on Steam, on Good Old Games, or as a standalone from Almost Human&apos;s website. And it only costs $14.99. If you pre-order now, that cost goes down to $11.99 (20% off!) and you get immediate access to a hoard of goodies, including the game&apos;s manual, world map, custom paper grid for Metroid-style personal dungeon mapping (so old school), theme music, wallpapers, team photo and art sheets. Seems like you can&apos;t go wrong—unless you literally go down the wrong path in one of the game&apos;s mazes and get eaten by a troll, that is. Are you looking forward to crawling these dungeons? Let us know in the comments or on Twitter.